Treat yourself to a 2-night getaway in the heart of Dublin City and SAVE 15%. 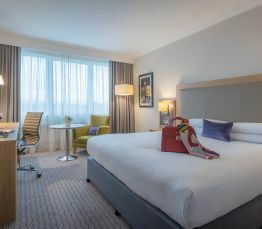 Nestled in Dublin’s leafy southside we are close in proximity to St. Stephen’s Green, Grafton Street, Trinity College and many more of the city’s famous attractions making us the ideal base for your stay. Free cancellation before 2pm day prior to arrival.